St. James City Wide Garage Sale taking place May 17th -18th. Let us do your advertising for you! 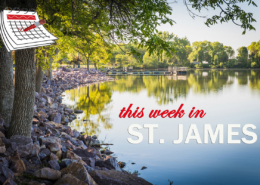 There are many things to do, see, play and stay here in St. James, MN. Ready for a move? Looking for a great neighborhood? Check out our lots in Mayberry Hills. Call 507-375-1289 today! TEMPORARY PRICE REDUCTION! Brought to you by the St. James Area Chamber of Commerce, the St. James Area Convention and Visitors Bureau, and the St. James Economic Development Authority. We are glad you stopped by! Browse through our website to learn about our wonderful community. If you have a specific question, contact us.